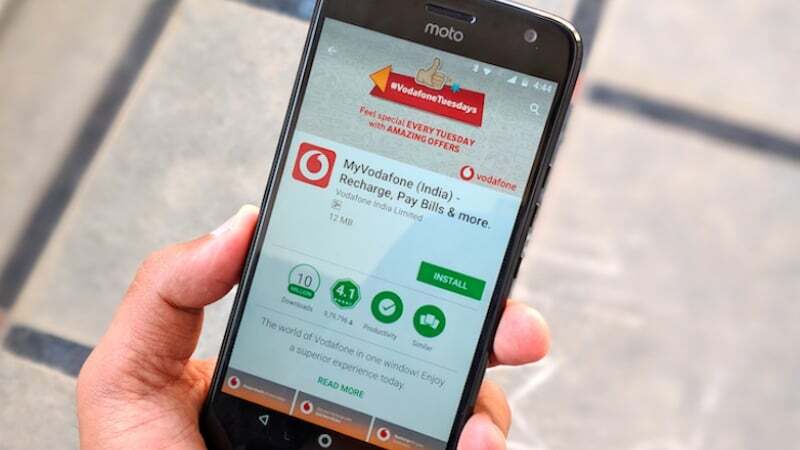 Vodafone India users in Andhra Pradesh and Telangana telecom circle, there’s some good news for you as the company is all set to introduce 4G services in the circle, after a long wait. Vodafone users in the circle have been asking the company to launch 4G services for a couple of years now, however, the company hasn’t done that until now. The telco is now pushing out SMS to the customers asking them to get a 4G SIM card for free by visiting any of the Vodafone retail stores. In the SMS, Vodafone stated ‘Hello! Gear up for Vodafone 4G!! Get your SIM card upgraded to 4G SIM from nearest Vodafone Store/Retailer at No Cost. Happy to Help.’ Going by the message sent by Vodafone, it seems like the company is getting ready to launch the 4G services in the circle and it might happen in the coming days or weeks. At the moment, Vodafone is offering 2G services in the circle along with 3G data services with the help of Idea Cellular. But going forward, the telco will have its own 4G services, which will give a chance to Vodafone to compete with other players such as Bharti Airtel and Reliance Jio. Vodafone is yet to update its tariff plans in the region, and the company’s website still displays the same old 2G data plans. Vodafone is offering a Rs 459 open market tariff plan in the circle, which gives unlimited 2G data, voice calls and 100 SMS per day for 91 days. The 2G data offering is something users have been complaining for a long time. Now all the existing 4G plans of Vodafone, which it’s offering in other circles will be introduced in Andhra Pradesh & Telangana circle as well. We’re yet to receive an official update on this from Vodafone. We will keep you posted on the rollout of 4G services in the said circle. Since, Vodafone has very limited customer base in AP including Telangana Circle, vodafoneay have a plan to use Idea 4G AP& Telangana network in both states. Airtel and idea is the leading operator in terms of coverage, revenue and customer base In AP & Telangana, then only Jio, vodafone and BSNL. So Vodafone AP is fully depends on Idea 4G/2G network in both states. After integration of both Idea-Vodafone network, coverage and quality may change..